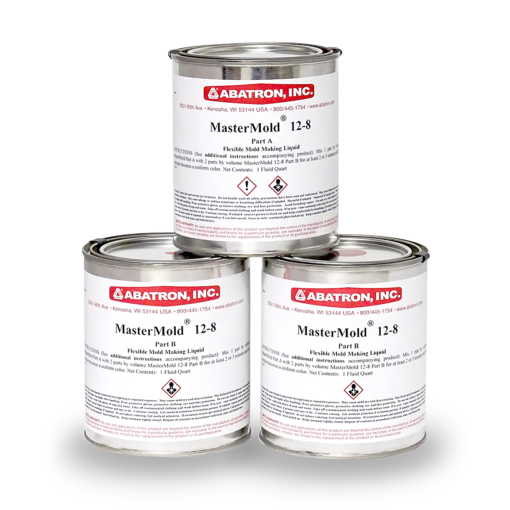 Mastermold 12-8® | Abatron, Inc. 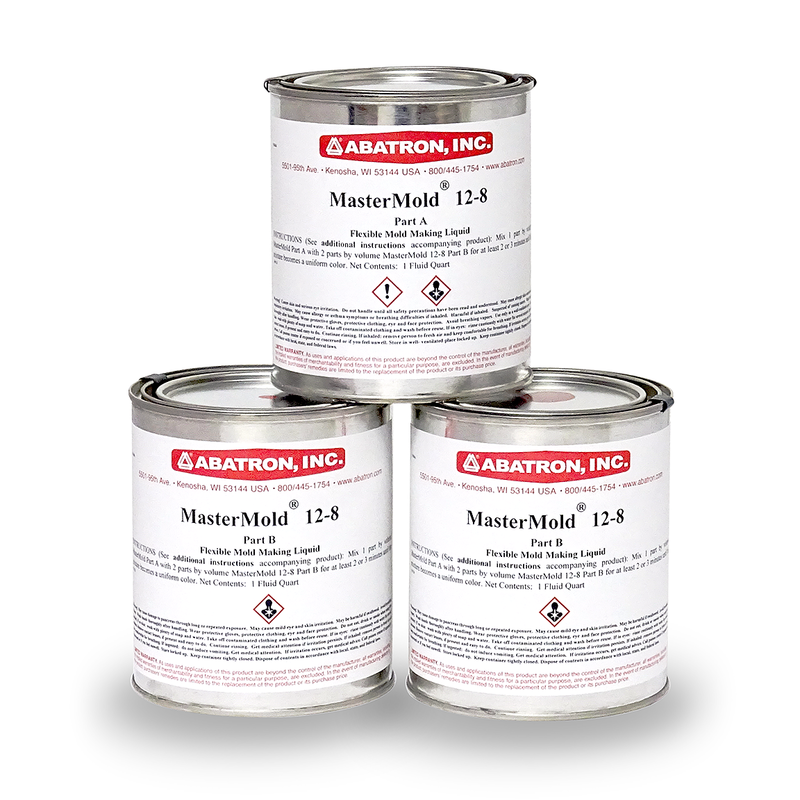 Uses: This liquid polyurethane mold making compound is best suited for making molds of objects or structures that can be laid flat in a container so that the mold making compound can be poured onto and around them. 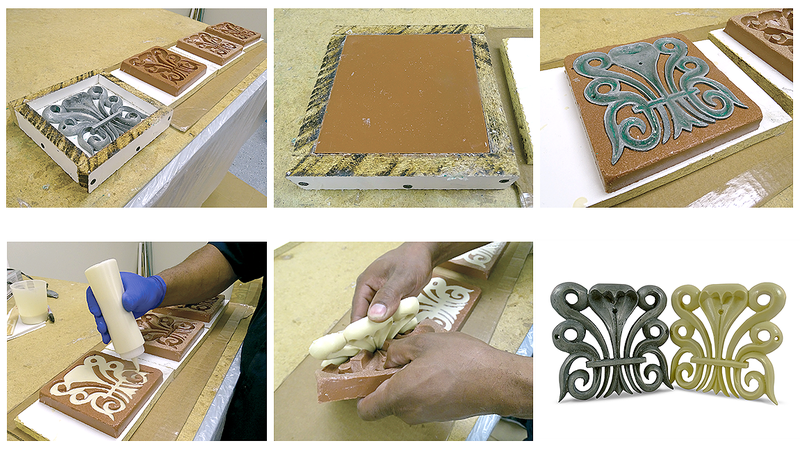 Examples include doll faces, jewelry, moldings, low reliefs, medallions, patterns, models, and tools. Recommended for 1 and 2-part molds. Features and Benefits: It reproduces exquisite details, is very flexible, reusable, and easy to use. Technical Characteristics: Hardens in 12-16 hours at room temperature. Easy proportioning of 1 part resin to 2 parts hardener by volume. Part A Resin: Clear, pourable viscous liquid, 8.7 lbs/gal (1.04 Kg/liter). Part B Hardener: Pink, pourable, viscous liquid, 8.9 lbs/gal (1.07 kg/liter). 1-1.5 hour working life at room temperature. Q We are looking for products to try out in order to salvage a grouping of vintage garden casts and molds. The molds are both one piece and two piece, some large, some small, conditions vary with several of the molds needing restoration and recasting. Suggestions? Thank you. Please call our technical department at 800-445-1754 for assistance.